The Economic Diplomacy (ED) Division of Ministry of External Affairs and Trade Promotion Council of India (TPCI) is taking a trade delegation to Riyadh, on November 27-28, 2018. 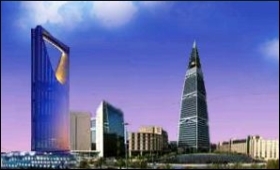 The objective is to explore possible contracts and investment opportunities in the USD 500 billion futuristic mega city Projects being developed in Saudi Arabia, said the Commerce Ministry on Monday. The delegation is being headed by Additional Secretary in the Ministry of External Affairs, Manoj Bharti. During the two-day visit, the industry representatives will interact with key decision makers of the Saudi Government and industry. The infrastructure projects are part of the Kingdom’s initiative to expand their economy through major structural changes by developing mega projects like NEOM, new roads and railroads, airports and sea ports, development of Qiddiya entertainment city and Red Sea Tourism Project.